Pioneers in the industry, we offer porter 600 three wheelers and porter 1000 three wheelers from India. With 511 cc displacement engine and maximum torque 27nm@ 1800-2400 rpm, this Porter 600 has dry single plate clutch. The front & rear suspension and different dimensions of these three wheelers makes them ideal for carrying bulk goods. These three wheelers are extensively appreciated in the market for their features like great mileage, superior leg room, longer cargo deck and enhanced engine life. Car like single key operations in the vehicle and twin head lamp makes these three wheelers easy to drive and hassle free to ride. Porter 1000 is best cargo vehicle used for carrying bulk loads from one place to another. The superior mileage, great power & torque and maximum speed of 70 KMPH ensure superior performance and smooth riding experience. 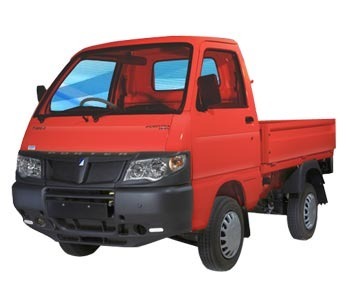 The 3 side openable cargo deck, 5 speed synchromesh gear box and highest payload capacity makes this vehicle preferred choice for transporting loads of goods. With four stroke type 1032 displacement cc engine, these vehicles are available in a variety of colors to choose from.